Ladies and Gentlemen do I have an exciting opportunity for you and your wedding planning friends. We at FaeriWood.com have teamed up with The Wedding Journal to offer 5 pairs of tickets to this years show in Titanic Belfast. "The Wedding Journal Show returns to the Titanic Exhibition Centre, Belfast on Saturday 1st & Sunday 2nd October with an action packed all-new show!With over 300 of Northern Ireland’s top wedding suppliers and businesses under one roof, this really is a wedding show not to be missed.Couples will have the chance to Win a Honeymoon like a Celebrity at the show; a life-changing prize for anyone. The lucky winners will go on a once-in-a-lifetime luxury honeymoon to Scrub Island in the Caribbean. 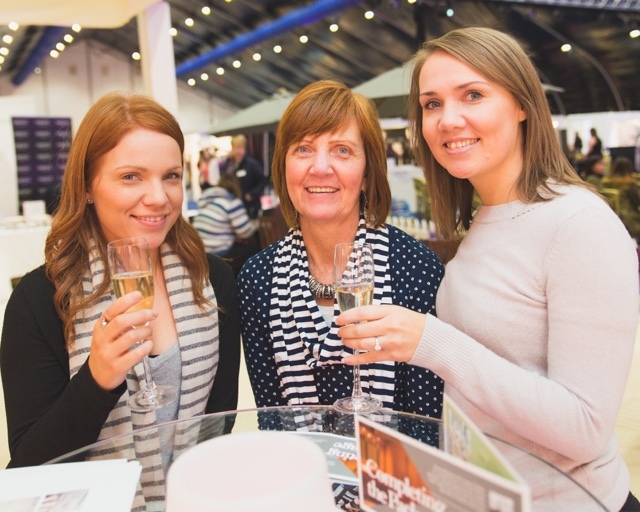 Visitors to the show can enter this incredible competition for free, with the winner being revealed during the exciting live final on the main stage on Sunday.Couples can celebrate their upcoming big day in style in the luxurious VIP Lounge where VIPs will be treated to a glass of bubby and a fabulous free Benefit goody bag.The renowned International Bridal Catwalk will run three times daily featuring the very latest wedding dresses, bridesmaids’ gowns, occasion wear and grooms wear from world-renowned designers and manufactures. Collections are modelled by a team of professional dancers who really know how to put on a show.Providing more fashion inspiration, the Bridal Boulevard is a unique shopping area where brides-to-be can view, try on and buy wedding dresses. This stage will also host daily Benefit beauty masterclasses and hair tips from Lounge.Wedding Journal Show visitors will also have the opportunity to talk to wedding industry experts about every aspect of their wedding day, from venues and stationery, to cakes and cars, that all-important honeymoon and a lot more besides. At the Alternative Wedding Village couples will be introduced to some of Ireland’s most creative and quirky wedding suppliers. New for Autumn 2016, the Honeymoon & Destination Wedding Pavilion provides the perfect platform to plan that dream honeymoon or wedding abroad." Opening times: 11am – 6pm Saturday 1st October. 11am – 6pm Sunday 2nd October. Save 25% with online tickets at WeddingJournalOnline.com. Tickets can also be purchased at the door. 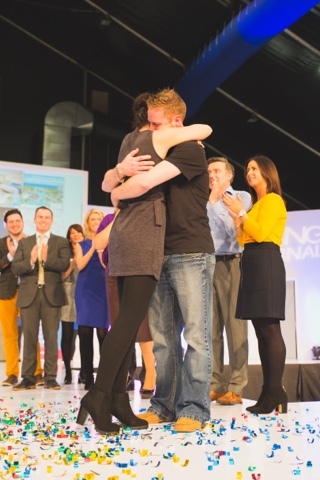 In what venue will The Wedding Journal Show take place in Belfast this October 2016? The competition is open throughout Northern Ireland and Ireland. Winners must make their own way to the event. The draw will close and winners will be selected on the 25th September. Thanks Aaoyr! You are officially entered please email Faeriwood at gmail . Com with your contact details. Good luck! Thanks Joanne! You are officially entered please email Faeriwood at gmail . Com with your contact details. Good luck! Thanks Bluebell! You are officially entered please email Faeriwood at gmail . Com with your contact details. Good luck! Thanks Lorraine! You are officially entered please email Faeriwood at gmail . Com with your contact details. Good luck! Thanks Kerryanne! You are officially entered please email Faeriwood at gmail . Com with your contact details. Good luck! Thanks Nico! You are officially entered please email Faeriwood at gmail . Com with your contact details. Good luck!